Hardware construction time. Note: this is for the v3 version of the HeaterMeter controller. I ordered the Arduino Duemilanove and buttons from SparkFun, the WiShield 2.0 from AsyncLabs, and the components and blower from DigiKey. 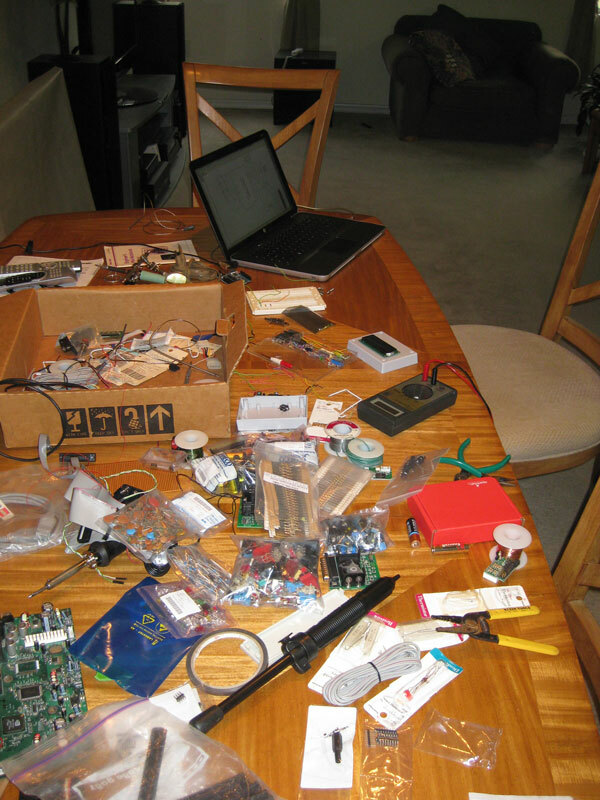 What you end up with is a whole dining room table full of parts. It helps to not be married if your dining room table is going to look like this for a week.